Whether you're hanging around the house or the pool, at home or on holiday these are the sliders for you. The Hugo Boss Solar Sliders are a premium slider great for anyone. 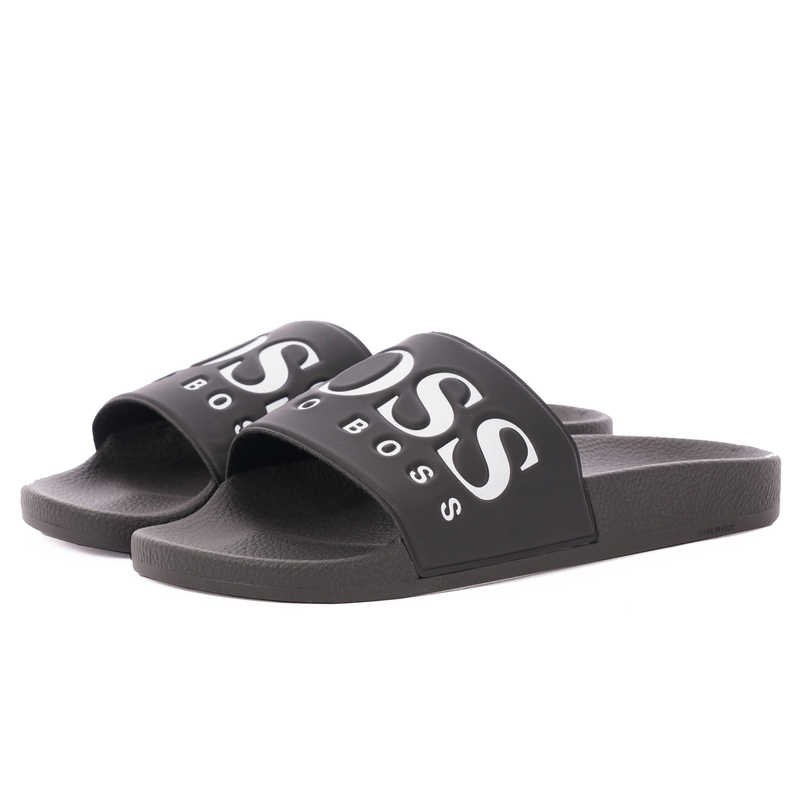 These sliders have been lined with a soft, felt like material to hug the top of your foot as you catch the sun. They also have bold contrasting BOSS detailing on the top and side of the sliders. Wear with a pair of swim shorts for a great look.